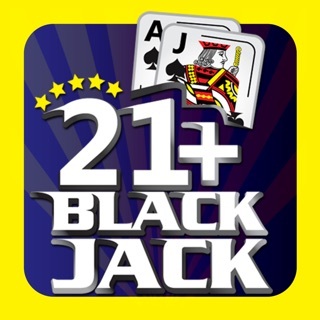 Win BIG at your next casino trip by playing this Blackjack app, with the best casino-style experience. 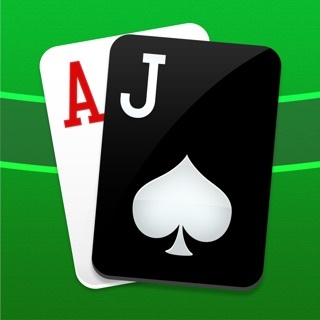 Learn to master the most popular card game found in casinos all over the world, from the best Blackjack developer in the App Store. Our Blackjack game has Hi-Lo and KO card counting strategies. Both strategies are perfect for beginners interested in learning card counting! Think you’re ready to play with the High Rollers? Try your hand in the high stakes tables! Start with Beginner’s Luck and work your way up to The Penthouse! Compete with players around the world by working your way to the top of the Leaderboards. Hi Blackjack Fans! We’ve made some updates that will bring you better luck! If you’re enjoying this game, please take a moment to leave us a review! Awesome fun and great practice! Love the latest upgrades and this ap is the best I've used to practice for the casino - and so much fun! Knew nothing about the game, but my fiancé is the best of the best when it comes to BJ, so I decided to learn... He couldn't believe how much I had learned; so much that I actually win $600 in my first live game! Still loving this app! I continue to win every time we go play at the casino! successful at the casino after practicing with this app! I have two grandchildren that recently started working security at our local casino, but both complained about low wages. I told them a dealer will make much more money, though neither knew a thing about playing any table games. I convinced them to install your app and practice playing, which would also teach them how to deal. Well, my Grandaughter has already secured a BJ dealers position and reports she’s making more than twice that of a security officer! Her twin brother is sure to become a BJ dealer as soon as a position opens! So proud of them, but they couldn’t have done it without your app! Thanks for publishing such a great app and thanks to you for making it both fun and the best learning tool ever! AND this old grandma still loves to play every time I have a spare moment!! I have played over 100 games now and although I like the game design, the card shuffle programming is terrible. The idea of there being different tables with different minimums and maximums is great but as I see it I’ll never make it pass table 3 unless I get REALLY lucky or pay to play. I don’t particularly enjoy the 200 credits every 4 hours or watch videos for credits but I can’t be too upset cause that’s the unfortunate standard with these kind of games nowadays. After my hundred games I always was frustrated cause I easily noticed I lost more than I won, but after looking at the reviews of people complaining of the same thing and the moderators assuring that the deck shuffling was in fact “random” I decided to keep going attributing my loses to bad luck. However, the bad luck never went away. The deck shuffling might be random but i lose 65% of the time(pushes included). I have played other black jack games and yes the dealer usually wins more than the player, but it should be closer to 47% dealer 45% player 8% pushes and not 55% dealer 35% player and 12% pushes. With more than 100 games played, I don’t see the statistics changing much moving forward. I have to delete this game, although everything else is very enticing, the deck programming is just horrible. Perhaps try using a different card deck randomizing program. I have been playing this game/app for a few years now. I play a couple dozen hands daily and have won and lost millions. I’ve had a bank roll as high as a few million and currently have a pot of $200,000 or so - all without buying extra coinage. It’s pretty much the only game I play consistently. I leave the “advice” on to hone my understanding of the odds. I am a bit suspicious about the odds. I think the developers occasionally adjust the randomness to meet their prerogatives. When the odds seem against me, I play less or for smaller amounts and wait till the next day to try again. When I actually go to the casino now, I have a full understanding of how to play and can play confidently for hours without losing my shirt - the house always win but you can play a long time without giving them too much.